MBW’s World’s Greatest Songwriters series celebrates the pop composers behind the globe’s biggest hits. This time, we talk to 25-year-old Tayla Parx, co-writer of Ariana Grande’s recent pair of global monster hits, who has also written with/for Janelle Monae, Fifth Harmony, Mariah Carey and many more. 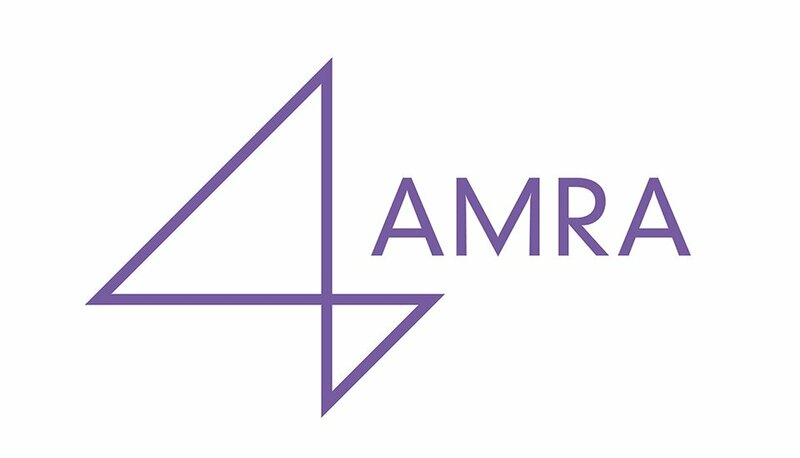 World’s Greatest Songwriters is supported by AMRA – the global digital music collection society which strives to maximize value for songwriters and publishers in the digital age. Immediately before MBW speaks to Tayla Parx, there are two pressing and contradictory concerns: On one hand, Will we talk about Thank U, Next enough? On the other, Will we talk about Thank U, Next too much? The day after, there was one pressing concern: can we get another half an hour with her? Because by then Ariana Grande has dropped 7 Rings – on which, like Thank U, Next, Parx is a co-writer – which immediately becomes the biggest song in the world, breaking Spotify’s Most Streams In 24 Hours record in the process (clocking up just shy of 15m plays whilst the earth turns just the once). This news came a month after Vevo confirmed that Thank U, Next had reached 100m plays faster than any other video in the platform’s history. And the month before that, the track had become the fastest to reach 100 million Spotify streams, hitting the landmark in just 11 days. 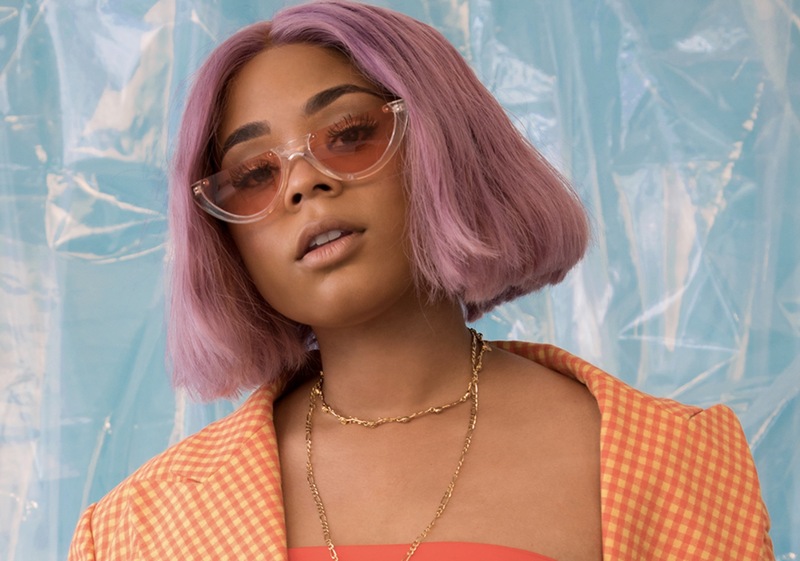 Perhaps the most remarkable thing about Tayla Parx’s current stratospheric level of success is that even if you took her role within Team Grande out of the picture, the 25-year-old songwriter would still have had a stellar 12 months by anyone’s measure. Parx co-wrote Khalid and Normani’s Top 10 US hit, Love Lies; she has four cuts on Janelle Monae’s Grammy-nominated Dirty Computer album; she co-wrote Christina Aguilera’s comeback single, Accelerate (and had four more tracks on the subsequent album, Liberation). Oh, and if you were thinking of pigeon-holing her, think again; she’s also credited on High Hopes, the biggest hit of Panic! At The Disco’s career (No. 6 in the States last summer). Parx, then, is the definition of hot right now. Her current commercial success and industry recognition has undoubtedly been jet-propelled by her membership of Grande’s creative inner circle. But, whilst there is a sort of (carefully projected) sorority/sleepover vibe to that set-up, Parx’s place in it is all about craft and graft rather than pillow fights and pinky promises. As far has her work and relationship with Grande is concerned, Parx hasn’t got lucky – she’s got recognised and rewarded. Before her current burst of global hits, Dallas-born Parx had already written big songs with (and for) artists such as Mariah Carey, Fifth Harmony, Chris Brown, Alicia Keys and Demi Lovato. Before that she was a successful child actress, appearing in the cult 2007 movie Hairspray and in various TV shows, including Nickelodeon’s True Jackson, VP. Grande, born in the same year as Parx (1993), also found fame first on Nickelodeon (four seasons in Victorious, in which Parx also appeared). But, whilst this was when the pair first met, and what provided common ground, a far more important similarity was that they both knew it was music that was their true calling. There will be a shift of gears later this year, as Parx’s debut album, We Need To Talk, comes out on her own label, Tayla Made, via Atlantic Records. Whilst it marks a new chapter, it does not mean a change in career. Parx is still a songwriter. Right now, more than ever, it is actually quite a lot about Parx. As she prepares to embark on new projects with Dua Lipa and Sam Smith, as well as spending more time in Nashville working with some country artists, she is certain to add to her growing list of smash hits and make it harder to know which chart-busting banger to ask her about first. What was the music you loved growing up? I remember back in Texas, where I’m from, my parents bought me a karaoke machine and the songs I remember learning and singing along to were Brian McKnight, Back At One and Babyface, When Can I See You? And the other artist I was exposed to early on, perhaps because she was a Texan as well, was Erykah Badu. Did you think of songwriting, or music generally, as something you could make a living at? It wasn’t until I was 15 that that started to turn around. You mentioned acting, did that appeal to you as an alternative permanent career path? It was something that I almost fell into. I took it on as a challenge. I do like a challenge. 99.999% of the things I do in my career I do because they are challenging. Ultimately, I decided it was distracting me too much from the thing that I love, and the thing that I need to dedicate myself to perfecting, which was music. [Acting] definitely helped me though, with the whole idea of getting into character when it came to writing very personal songs, but from the point of view of another artist. Whilst the acting was taking off, were you already writing songs? I started writing songs when I was 13, 14. 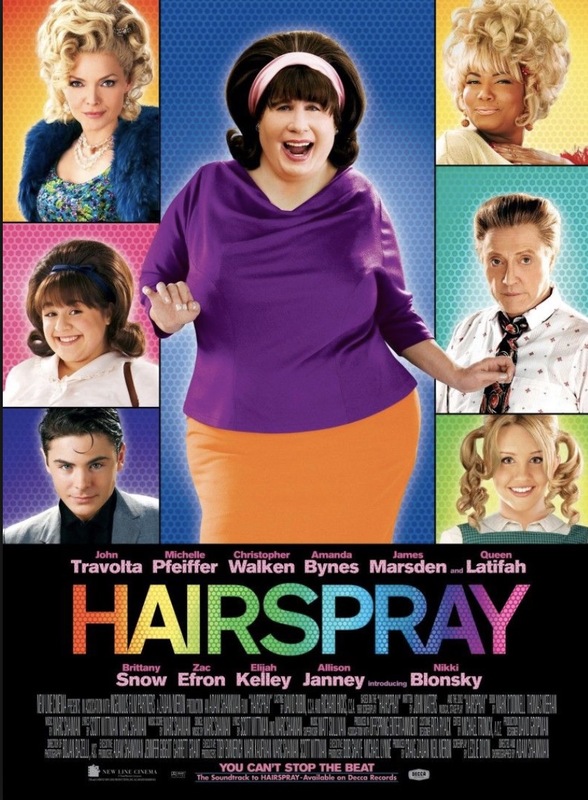 After Hairspray, I wanted to go into music, but at that point, people saw me as an actress that was trying to sing. Basically I had to re-start my career and prove that I was meant to be in music. My parents bought me Logic and the thinking was, If no one wants to write with you right now, do it yourself; just start. And that was great because it meant that I learnt to engineer and produce, create my own beats and be really self-sufficient. What got you on the first step on the ladder? My big break was probably BO$$ by Fifth Harmony (2015), that’s when a lot of people in the industry started to hear my name, and became curious about getting me into sessions. After that, I started to write with some of my favorite writers and producers, and that was fun for me. Were you nervous in those situations, or were you confident straight from the off? I was working with people like Babyface and Tony Dixon and The Rascals, and it was very hard to be confident around such successful men, to be confident enough to blurt out an idea, and not think twice about it; that was a lot for me. I had to learn to speak up, because these people not only had accolades over me, they had age over me. But it actually inspired me to reach out and find other female producers, engineers, writers and artists, because I was always surrounded by men. I became curious about other women working where I was working and when I did that it helped me become more confident. I guess that’s key when it comes to songwriting, or at least feeling safe and accepted, so you can expose yourself to a degree. Totally, because at first I was just thinking, ‘Please don’t let me say anything stupid.’ Now I’m like, ‘Okay, I’m gonna say something stupid!’ [laughs]. Now I’m not afraid, because we might just be one more stupid idea away from a brilliant idea. Were those bad experiences – in those early days, in those first writing rooms you found yourself in? Honestly, because I came from acting, which is a lot harsher than music, I had a tough skin. I’d had a career since I was 11, and acting involves a lot of rejection, a lot of criticism, so I was tough. And I was really lucky to have a lot of incredible people along the way who really believed in me, from the publishing side, to producers etc., it was important to have those people believe in me while I built my confidence as a writer. And I didn’t get that until I knew that I could be efficient and consistent, that’s when I got confident, when I knew I could go into the studio and deliver. You mentioned the support you got from your publisher as you yourself went through that process of building confidence. 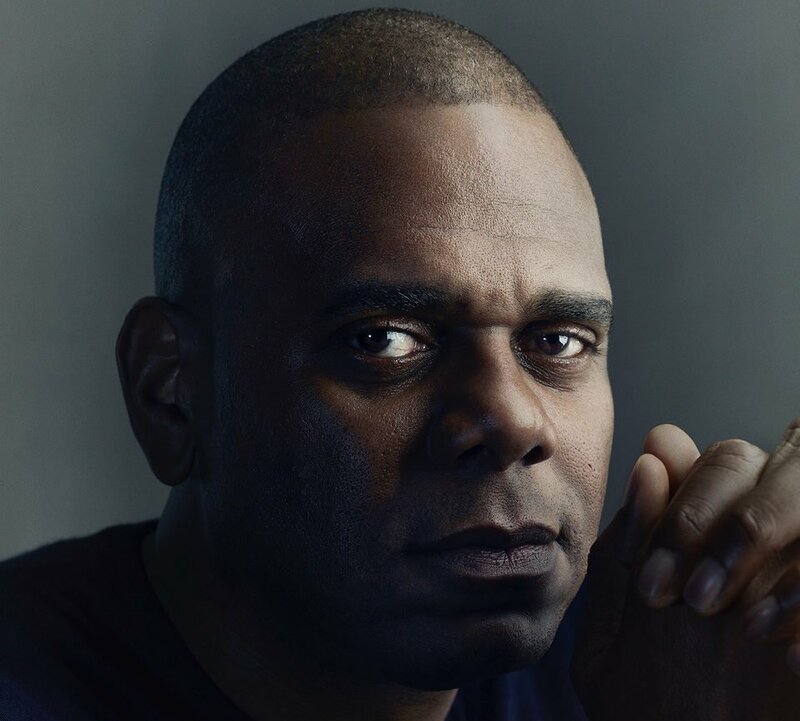 When did you sign to Warner/Chappell, and it was Jon Platt himself who signed you, correct? I met Big Jon when I was 18 or 19 and it took him being the amazing person he is to get me to sign that deal. I was always hearing horror stories about deals that had been signed; I was very anti the whole thing. What I did in the end was, I held every single meeting with everyone who was interested [in signing her] in one week; like, this is the first and last time I am ever going to have this type of meeting [laughs]. Jon was the last one, and I ended up joining an amazing family – not just Jon, but also Katie Vinten and Ryan Press, it’s been awesome. What was it about Jon that persuaded you 1) not all publishers are evil; 2) not all deals are terrible; and 3) Warner/Chappell was the place for you? I loved the fact that Jon was able to tell me the truth: you’re good, but you could be great. That was a challenge, and like I say, I love to be challenged. I like somebody who pushes me to be better than I am and even better that I think I can be. He took the time to listen to me, to get to know me, he talked to my parents; he really took the time to build a relationship with me, and that’s why, even though he’s not at Warner/Chappell anymore, we’ll stay in touch for the rest of my career and I’ll look to him for the rest of my career; he’s really like family to me. How do you feel about him moving to Sony/ATV? Well, I understand why he did it, and we had a conversation about it, we have that type of relationship. I’m happy for him. What were some of the highlights of your time as you developed as a songwriter, and who did you learn from? 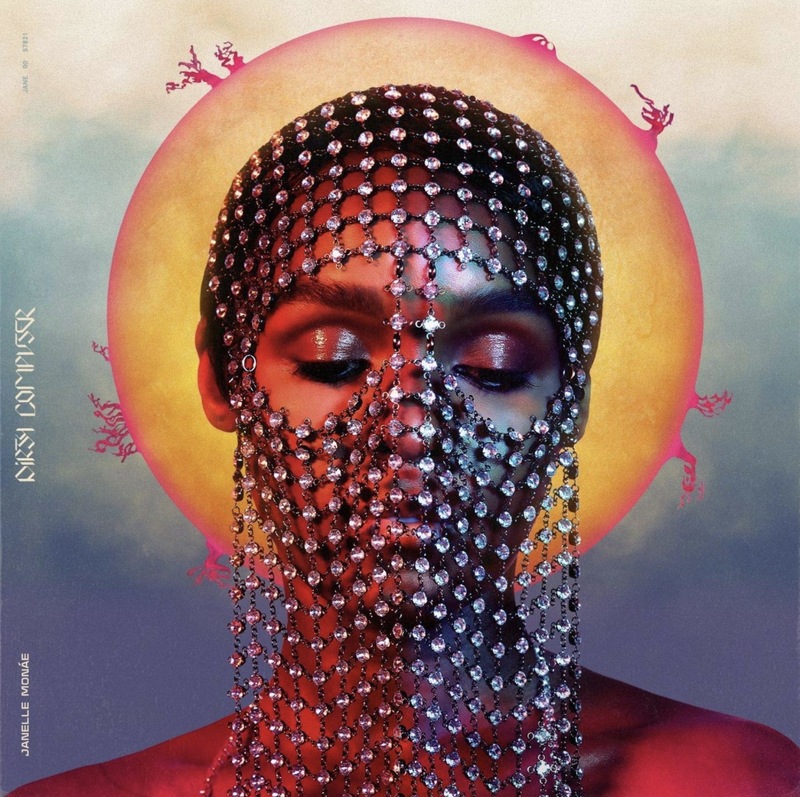 So many things, from talking about publishing with Mariah Carey, to being creatively pushed to the max with Janelle Monae, who is an artist who is looking for something completely different. There has always been something that I’ve learned from each of these sessions. There’s no one way to achieve success, and that’s what makes it interesting to listen to people’s stories. It sounds like in terms of sheer fun, the sessions you did last year with Ariana and her team were right up there. Yes, that was the most fun session, or week of sessions, honestly. Because I don’t [usually] do two days of sessions back-to-back, let alone a week. I’m like, I said what I had to say yesterday! [laughs]. But that was the most fun week that I had all year. It was the most dramatic week as well, because there were so many highs and so many lows, all at once. But definitely, more than anything, so many laughs. And I think the only time you enjoy success this much is when you achieve it with friends. Was there a particular area in the process where you stepped forward to contribute? It’s across the board, but the majority of it was definitely melody; for me, melody is king. Because this is such a personal story for Ariana, we had to really collaborate and talk everything through, talk about different relationships and then plug in the lyrics. But the melody was right there, boom. And that’s usually what I do first all the time, so in that respect it was no different, except this was a therapy session as well. 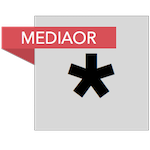 How do you feel about collaborations that include so many people? Do you ever hanker after writing something on your own – as you did when you started? They both have their merits. It’s always good to have someone challenge your ideas, and it’s good sometimes to play devil’s advocate on someone else’s ideas. My only thing is, it has to be somebody who can challenge you and somebody who actually adds to the room, which is why I’ve gotten a little more choosy about who I collaborate with. I felt like I was writing full songs and giving away [credit]… like this person was just being in the room, you know? So now, my challenge to myself is: make sure you’re writing with people who make you better. That’s all that matters and that’s the only reason somebody should be in the room anyway. I apply it to friendships, everything: be around people who make you better. Can you talk a bit about your relationship with Ariana: how it started and how it developed into something so special? We had known each other but not worked together earlier in life. We were both on Nickelodeon shows, we had a lot of mutual friends, so the friendship evolved very naturally. Then I wrote on My Everything [second album, 2014], and that was when we both said, ‘Oh, I see what you’re doing here – and it’s nice to see you in the studio, not on set.’ And then we continued to watch each other grow and grow on the music side, plus we both backed away from acting at the same time. We didn’t work together for years, and then last year they asked me to come out for the week to write. This was right after Love Lies, so I guess it was like: I’m a pop artist, your song is No.1 on pop radio, let’s do it. And that turned into such a fun experience of re-connecting and becoming even closer than we had been in our entire lives, which is where we are now. You’ve worked with her in the middle of a couple of extremely challenging as well as extremely successful years. What are the qualities in her that got her through those times and allowed her to flourish as an artist at the same time? She is such a strong person. You have to be strong when you’re as caring as she is, because she cares so, so much. And it’s usually the ones who are sensitive and who care the most who get hurt the most. They have expectations of people and of life, and when that doesn’t happen, it takes a lot… but the thing is, she’s [pause] so [pause] strong. She has got through things that would send most people to the asylum. And part of the reason is that she used the most perfect outlet you can use: music. Can you talk about the evolution of Thank U, Next? did you know it was going to connect with people like it did? What we knew was that in 2018/2019, people really want to know these artists. That’s something I’m aware of as a songwriter. So I always push artists to be real, to be genuine. And for Ariana, she had no problem doing that, because she was working with me and Victoria (McCants) and Tommy (Brown) who are her friends, you know. It made her very open. And it started with us wanting to write a song thanking, not bashing but thanking, each ex for what they’ve taught her – what she liked and what she learned. I guess that song wouldn’t have come out of a different kind of room, in terms of demographic? That’s completely right, yes. We went back and forth: is it too personal? But like I said, Ariana’s strong, and after what she’s gone through, she’s pretty much fearless. How did you find working with Janelle Monae? Well, usually I’m confined to the ‘rules’ of pop, but she is unafraid to push boundaries, and in fact wants to push boundaries. So the first thing I would think of, I would do the complete opposite. Because I knew here was an artist who is not a ‘first thought’ kind of artist. It was probably one of the most challenging projects for me to be a part of, because she’s not straight to the point, not straightforward, we were discovering what we wanted this new sound to be together. Is that something you enjoy or is it tough? It was tough at times, but I definitely enjoyed it and it was definitely good for me. I like any situation that helps me grow as a writer. And it was good that she challenged me, and everyone else, because now she’s nominated for Record of the Year. Was it always the plan to push on as an artist in your own right and release your own album, or were you tempted, having seen the pressures of fame close up, to stay more behind the scenes? It was more a question of deciding that I didn’t want to do the artistry until I know who I am as an artist. And then while I was working with all these artists, a lot of them started to ask me about my look and my fashion. So I figured, okay, I’ve found my own style here. And the next step was, how can I make my music sound how I look. And I think it does; it’s quirky, it’s fun. I definitely wanted to become a great writer first and I knew that was going to take time. And even now, with an album due, and even when I’m much further into my career as an artist, I will never stop writing for other artists. Will I be more choosey about which artists I write for? Yes. But listen, I write about 200 songs a year, and I can’t release them all! And they’re also not all me. Sometimes I wake up and I want to write a rock song; sometimes I wake up and I want to write a country song. And I love the fact that I can do that because it’s not always about me. I look up to people like Missy Elliot because of that, how she was able not only be successful in her own right, but also help build other artists’ careers. I never want to be an artist that over-thinks it. Sometimes artists take so long, and the longer they take, the more pressure builds up, and it’s unnecessary – to me, in my mind. You become more and more afraid, more and more doubtful of yourself, you can trap yourself into trying to perfect something for years and years and years. And while you’re doing that, music is changing anyway! Who are your favourite songwriters of all time? I don’t like to pick favourites! [laughs] – but for you I’ll go with Babyface, Dolly Parton and Elton John. Who are your favourite songwriters right now? Probably Priscilla Renea and Ali Tamposi, those are two people I looked up to when I was growing up and when I was in college. Can I have two? Two songs I would never be able to let go of are If You Asked Me To, by Celine Dion and Donny Hathaway’s A Song For You. Oh, wait, also Whitney Houston, I Wanna Dance With Somebody! Jesus, this is going to bring on an anxiety attack! Is there a career or a song catalog that you look at as a template? I think probably Missy Elliot and Pharrell, because they’ve done everything: songwriters, producers, artists and label executives, they’ve created the blueprint for someone like me.